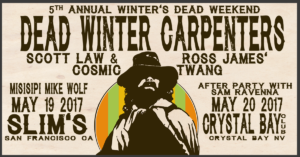 5th Annual Winter’s Dead Weekend! 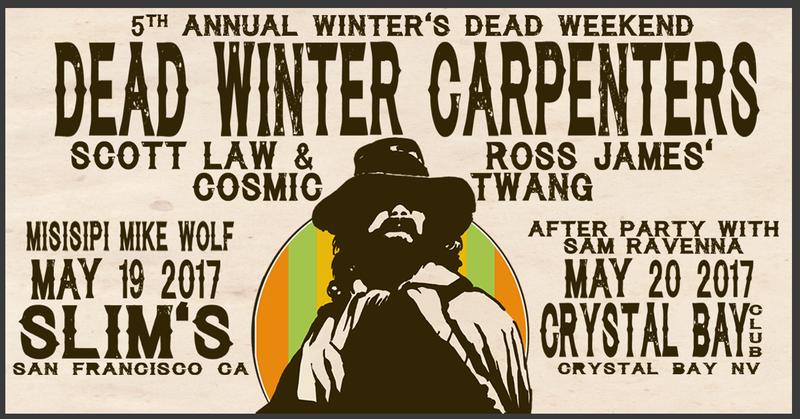 DWC will be hosting our 5th Annual Winter’s Dead Weekend on May 19th and May 20th! We’ll be playing Slim’s in San Francisco on Friday, May 19th and Crystal Bay Club in North Lake Tahoe, CA on Saturday, May 20th. We’ll have special guests Scott Law and Ross James’ Cosmic Twang supporting both nights. Misisipi Mike Wolf will also be joining us in SF, and Sam Ravenna will be playing the after party in Tahoe. Stoked to carry on the tradition!